Beltrami County and surrounding areas hold the highest levels of poverty in Minnesota. Families face several health disparities and barriers to care including lack of oral health literacy. To combat this issue, Northern Dental Access Center in Bemidji applied for a grant from America's ToothFairy for an educational concept they hoped would serve as an at-home, long-term motivational tool. "When educating kids, we discuss how they need to be their own Superhero and fight off the “bad guys” (sugar bugs) when brushing and flossing their teeth," Angie Keprios, Outreach Coordinator, told us. "At the end of our presentation, we ask that all kids join our ‘Cavity Fighting Club’. In doing so they receive an oral hygiene kit, and a superhero cape to take home and wear as they brush and floss their teeth. "This Superhero addition has made a significant impact on the children and program. The kids are excited to join the Cavity Fighting Club. They responded positively to having this responsibility – and they have fun with it! "We have found that it is effective in long-term motivation for healthy oral health habits, rather than the normal take-home kit," Angie continued. "We have heard a lot of positive feedback and success stories from parents/caregivers, school nurses and teachers. Without the funding of America’s ToothFairy, we would not have been able to motivate these kids in the same successful manner that we have. 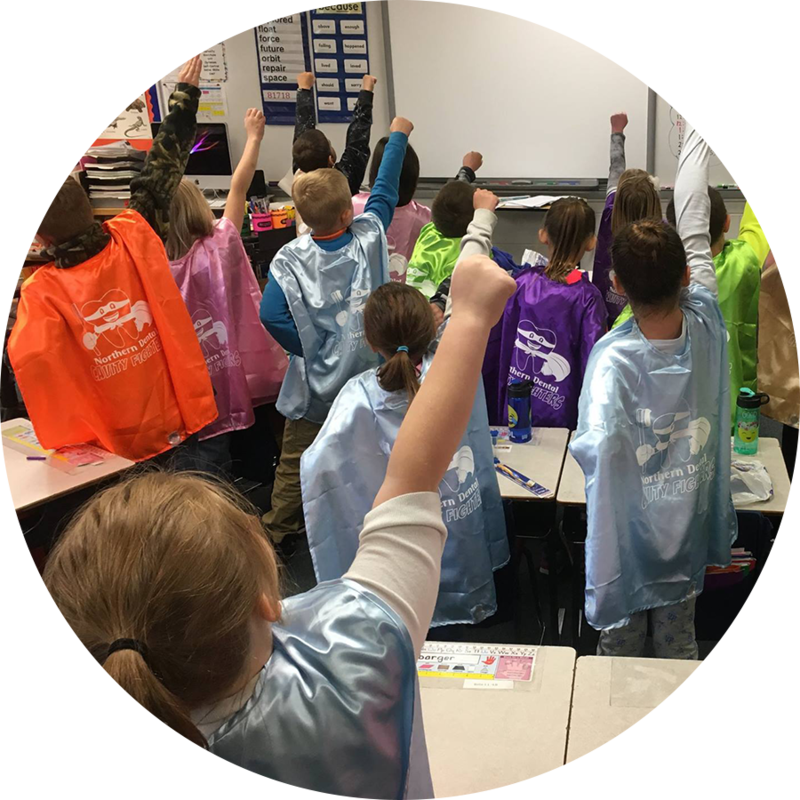 America’s ToothFairy did not just fund the superhero capes addition, but rather contributed in giving children confidence, excitement, and empowerment. Without the support from America’s ToothFairy, we would have to drop the superhero capes, possibly the whole concept, which we believe in the end will be less effective and less successful."